So I decided to become an Integrative Nutrition Health Coach. What does that mean? It means I will be helping people figure out what makes them happy and what foods and lifestyle changes are best for fueling their bodies and minds, their hopes and dreams. As I work towards getting certified, I am learning about a lot of different tools. I must say, that my favorite so far has been what they call “Crowding Out”. You don’t put a lot of emphasis on the bad stuff, or focus on eliminating poor food choices (because, honestly, that just makes them more tempting and we end up feeling deprived.). Instead, you keep adding more, better choices, into your diet, and into your life and watch the things that don’t serve you or that you don’t need, fade away. This week’s video is about just that. 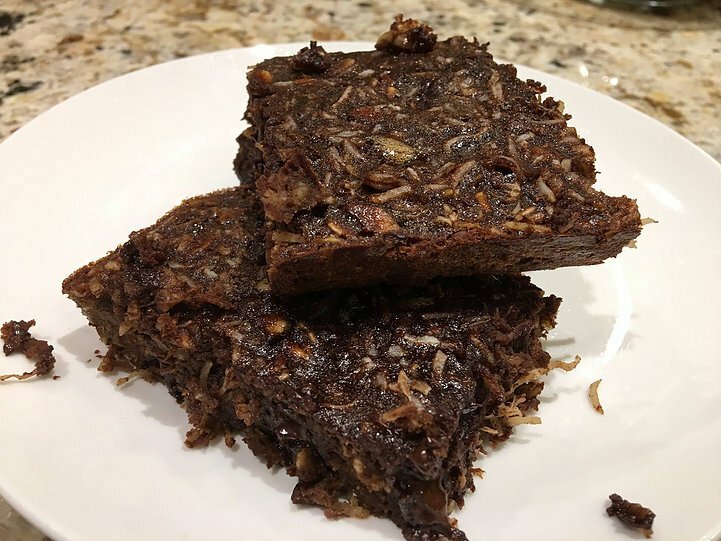 We created a Chocolate Protein Bar Brownie that includes ingredients high in nutrients, replacing the typical brownie that has lots of empty calories. You can taste the difference! In an effort to “Crowd Out” foods that don’t serve me well, I’ve been adding more vegetables of all different colors and types, into my diet, adding super foods like goji berries and 70% or higher cacao chocolate, and eating more leafy greens. I am trying cabbage, beets, and turnips, in place of the more traditional rice and potatoes, and I am eating more nut butters and seeds. It’s not that hard to do. I can really feel the difference! Here’s the recipe we used. Half the fun is being creative so make them your own by mixing in what you like. Enjoy! Spray a 9 x 9 inch baking pan with cooking oil. Spread batter in the baking pan and bake for 25-30 min until set and no longer gooey on top.